Best DJ we have EVER worked with! 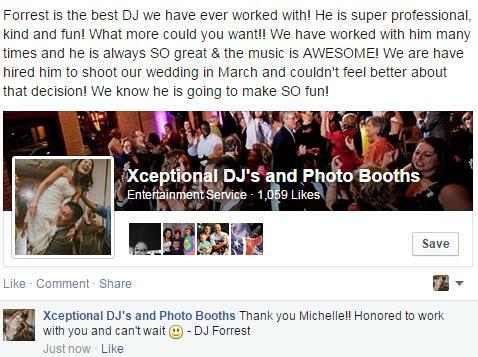 Today we got an awesome new FB review from a fellow wedding professional who proclaimed we are the Best DJ we have ever worked with. There is no greater compliment than getting hired by someone who sees wedding professionals each and every weekend year in and year out 🙂 Contact us today for more details!